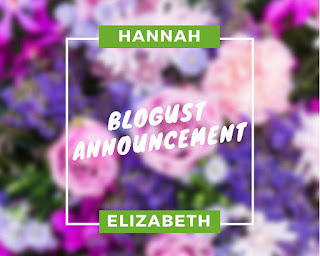 I'm doing Blogust again! If you don't know what that stands for it's a blog post every day for the month of August. I'm so excited to be doing it this year, especially because I feel like I've got so many posts to share. Plus, with 2 weeks off to revise and then 2 weeks off for summer, it's the perfect way to break up the summer holiday. I will continue to post my daily life and vlogs on Monday and then the new TAG series will be on Sunday's. There will be more product reviews, some life updates and I will finally be sharing my Midwifery related posts! Just a short post today but stay tuned for the 30 posts for the rest of the month and be excited to see them all. Also, if you have any requests, feel free to share them in the comments below. I would love to hear them!